Enjoy $500 off any orthodontic treatment (including Invisalign braces) if you start on the same day as your consultation. This offer applies only to uninsured patients. It’s never too late for a beautiful, healthy smile, so schedule your orthodontic evaluation with Dr. Marzieh Karkhanechi at our Pleasanton dental office today! Whether you are looking for orthodontic treatment for yourself or your child, you are in good hands with Dr. Karkhanechi at Amador Dental & Orthodontic! Our resident orthodontist provides a full spectrum of orthodontic services and braces for our Pleasanton patients, including metal braces, Invisalign and more! Aligning your teeth makes them easier to clean, but it also has a huge impact on your appearance. As an Invisalign provider, Dr. Karkhanechi can help you straighten your teeth without having to deal with traditional brackets and wires. 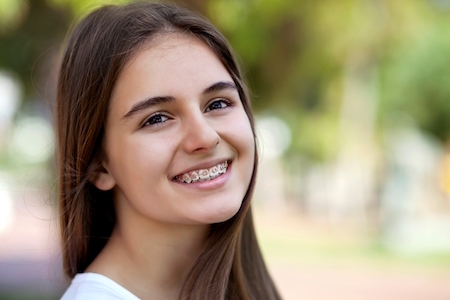 Metal braces are still the most common type of braces for orthodontic patients. Modern metal braces are much more comfortable than ones worn in the past, as they’re flatter and smaller. Dr. Karkhanechi may recommend braces if you suffer from crooked teeth, crowded teeth, jaw problems or a misaligned bite. An orthodontic evaluation allows Dr. Karkhanechi to assess your child’s oral development. During the evaluation, Dr. Karkhanechi will inspect your child’s teeth and gums, as well as the bones and muscles in your child’s mouth to evaluate the need for correction with the help of braces. An orthodontic evaluation will also give you the ability to plan ahead for your child’s future dental needs, including clear or metal braces. Dr. Karkhanechi has significant experience evaluating children's growth and oral development and frequently implements interceptive orthodontic treatment plans for our youngest patients. If Dr. Karkhanechi performs your child’s orthodontic evaluation and concludes that treatment is necessary, we will complete it in a two-phase approach. Phase I is usually between the ages of 6 and 10, while they still have most of their primary teeth. Dr. Karkhanechi may recommend expansion, an active retainer or partial braces as part of the Phase I treatment. The goal of Phase I is to better prepare your child’s jaws to make room for their permanent teeth and improve the relationship between their upper and lower jaws. Phase II occurs dependent on your child’s growth. The goal of this phase is to make sure each tooth is located in the best location possible to function properly. Phase II usually involves full upper and lower braces for your child and will not begin until all of your child’s permanent teeth have erupted. Phase II treatment usually lasts for a minimum of 24 months depending on the individual needs of your child. Your child might need a space maintainer if they lose a tooth early or have a baby tooth extracted. If your child needs a space maintainer, Dr. Karkhanechi will custom make it to fit your child’s mouth. Its purpose is to keep the space where the baby tooth was lost open in order to allow the permanent tooth to come into place. Baby teeth are vital to the healthy development of adult teeth, jawbones, muscles. Often, if a space maintainer is not used, your child’s other teeth can shift into the open space and future, more invasive orthodontic treatment might be needed. Caring for your smile after orthodontic treatment is a vital part of making sure your teeth don’t move after your orthodontic treatment. This is a critical follow-up stage that usually involves wearing a retainer. At Amador Dental & Orthodontic we offer several different types, all of which are custom-made to fit your smile. Ready to take the next step toward creating your best and healthiest smile? Call Amador Dental & Orthodontic in Pleasanton today to schedule your orthodontic consultation appointment with Dr. Karkhanechi! 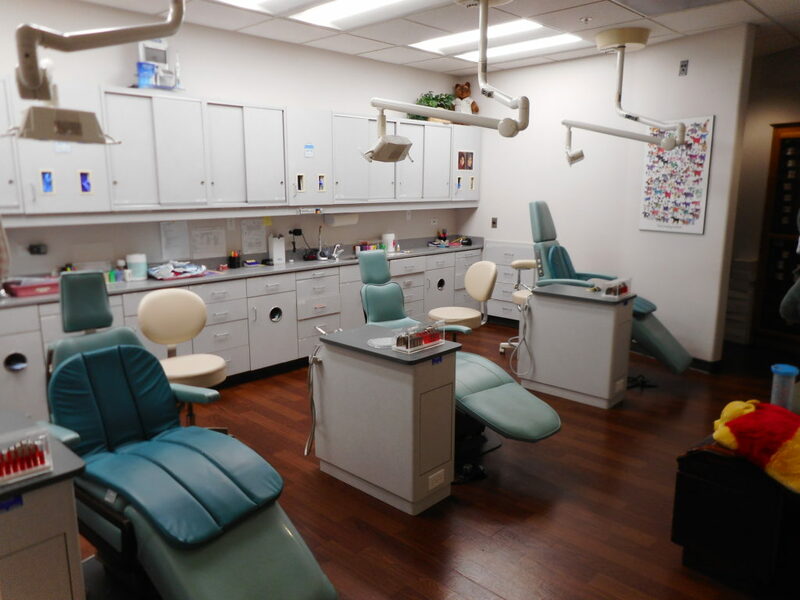 We are committed to making sure you get the high quality dental care you need by offering our patients a variety of sedation dentistry options when doing orthodontic care.